At one point in the 1990s, teenage girls would judge their peers based on one vital point. Whether you were an East 17 fan or a Take That supporter was not only a matter of taste, but of life or death. I was one of many who stood in Crystal Palace Park one summer, so desperate to catch just a glimpse of my idols Mark, Jason, Gary, Robbie and Howard, that I didn’t mind being heavily grilled by the summer sun. Coming to school literally red-faced, it was obvious to everyone where I’d been that weekend, but at the time the shame was worth it to have basked in their glory for a few brief moments. Yet before our own stable of boy bands’ voices had even broken, there was only one group that ruled the airwaves and the hearts of millions of teenage girls (and I’m sure quite a few boys). As Jordan, Jonathan, Joey, Danny and Donnie gazed doe eyed from the covers of pop magazines the world over, they were, simply, ‘The Right Stuff’. Thirty years, separate solo careers, obligatory forays into acting (with varying degrees of success), wives, children, divorces and coming out stories later, America’s biggest ever boy band are back with their tenth album. It’s hard to listen to 10 without thinking of Take That’s recent return to the reconstituted Man Band arena. It has the same highly polished sheen as Progress, with a tight, bright sound that is pure pop through and through. But where Take That’s matured material is often a sung battle of egos between Gary Barlow and the endlessly smug Robbie Williams, NKOTB’s sound is a richer blend, with lead vocals from the androgynous looking (and sounding) Jordan Knight. He has a soft yet strident, sweet voice, which still sounds young and hopeful after thirty years. ‘Jealous (Blue)’, drenched in falsetto swoops and swoons is reminiscent of Justin Timberlake channelling Michael Jackson and although the song isn’t particularly groundbreaking lyrically, it’s one of the album’s most atmospheric and less saccharine ballads. 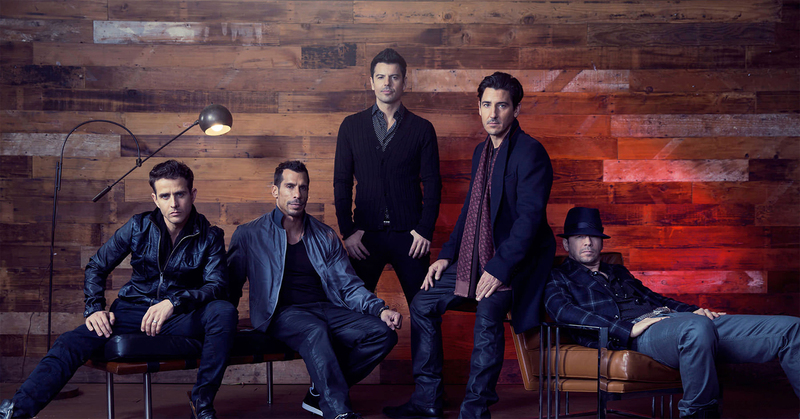 Despite three decades in the business, NKOTB are still firmly entrenched in the ‘together forever’ school of rhyme. You won’t find any Antony Hegarty style monologues on the moon or menstruation here, but that’s not what you’d expect or want from Boston’s best. Highlights include the bouncy ‘Now Or Never’, the ugly swan anthem ‘Remix (I Like The)’ and hidden track ‘Let’s Go Out With A Bang’, which despite slight hints of God-bothering, should really have been part of the official track listing rather than some of the more insipid songs that feature more prominently.